This is an easy, fun recipe the whole family will enjoy. 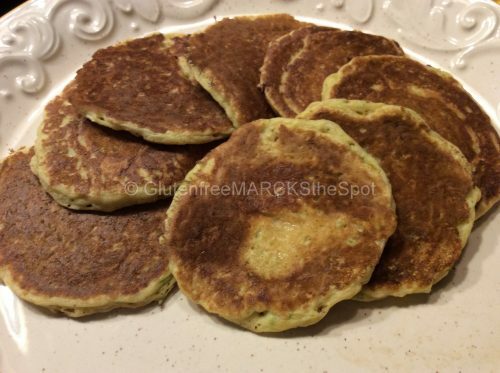 I’ll like to make these zucchini pancakes when I have extra zucchini – think abundance in the summertime – or sometimes, when I have zucchini to use up before it goes bad. 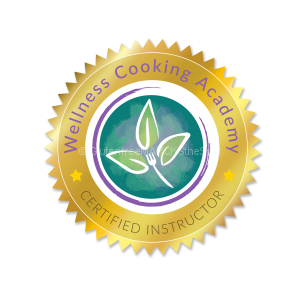 Therefore, the amount of zucchini I use varies – from ½ to a whole zucchini. This recipe is a fabulous side dish. They go well with multiple dishes like quiche, chili, stew, pasta or just a salad. They also make a great afternoon snack. Just add a dab of butter on top, and they’re hard to resist. Blend the egg and milk in a bowl. Grate the zucchini and squeeze out some of the moisture. Then, add to the egg mixture. 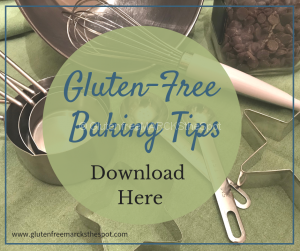 Sprinkle the millet flour, baking soda, guar gum and nutmeg over the top. Blend all together until incorporated. Heat a griddle, or pan to medium. If needed, add a little butter or oil to the pan. A small scoop makes perfect miniature pancakes. Although, you can make these any size you like. Once the pancakes start to bubble, flip over and cook an additional 1 – 2 minutes. Add a little butter on top or enjoy plain! 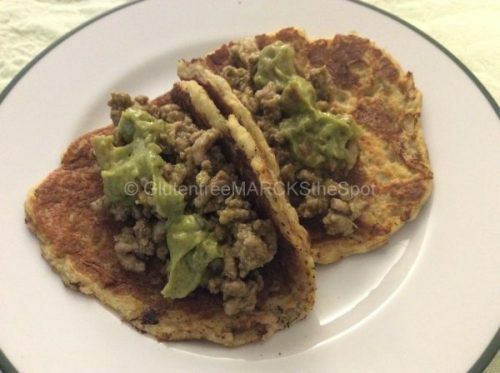 Using the same recipe, make larger-sized pancakes and use them as the “taco” for your taco dinner. Simply fill them with spicy chili, or taco meat, covered with chopped tomatoes, lettuce and guacamole. The sweetness of the zucchini really balances out the spiciness of the taco meat. This is a big hit at our house! And, another super-fast meal to get on the table! Give them a try, you’re going to love them! Check out some other great recipes using zucchini here. 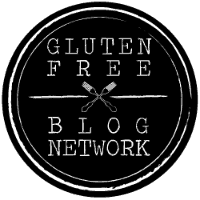 This entry was posted in Recipes and tagged dairy free, gluten-free, zucchini pancakes. Bookmark the permalink. ← What To Do with All That Summer Zucchini!